On Saturday Ash and I drove to Ballard for Bastille Day. On the way back downtown we stopped at a couple places to buy baby back ribs. Dry rubbed the night before. 5 racks. Bill the Butcher (Magnolia) — Rip off! Period. A 2.2 lbs vacuum sealed rack of baby back ribs cost about $31 dollars. The people were nice…but was just completely let down. Their price for ribs was ridiculous. I used to like Bill the Butcher but whatever happened to being a real meat monger? Ken’s Market (Queen Anne) — After leaving Magnolia we headed toward the Trader Joe’s at the top of Queen Anne. When we got to the intersection of 6th Ave W/ W McGraw…I saw the Ken’s Market display board read “$4.99 Baby Rack Ribs,” so Ash pulled in. I grabbed the last two racks of Baby back ribs…to my surprise THE RIBS WERE THE EXACT SAME AS BILL THE BUTCHER but I got two racks for $28 ish dollars. Love Ken’s Market. 5 racks. Low and slow. 1 hr on 250 to 300 degree heat. 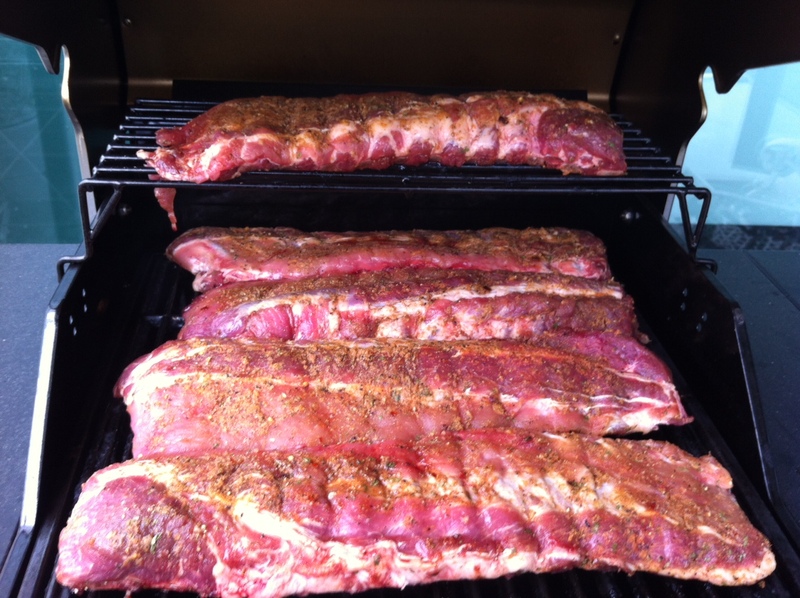 Trader Joe’s (Queen Anne) — A client of ours was coming over for dinner on Sunday so I knew I wanted to BBQ at least 5 racks. 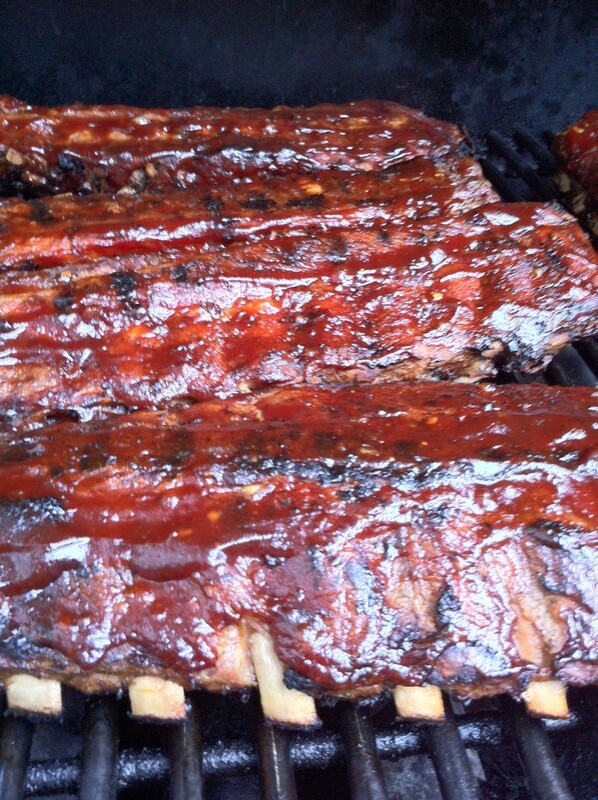 So the first time I cooked ribs I bought them from Trader Joe’s in Queen Anne. 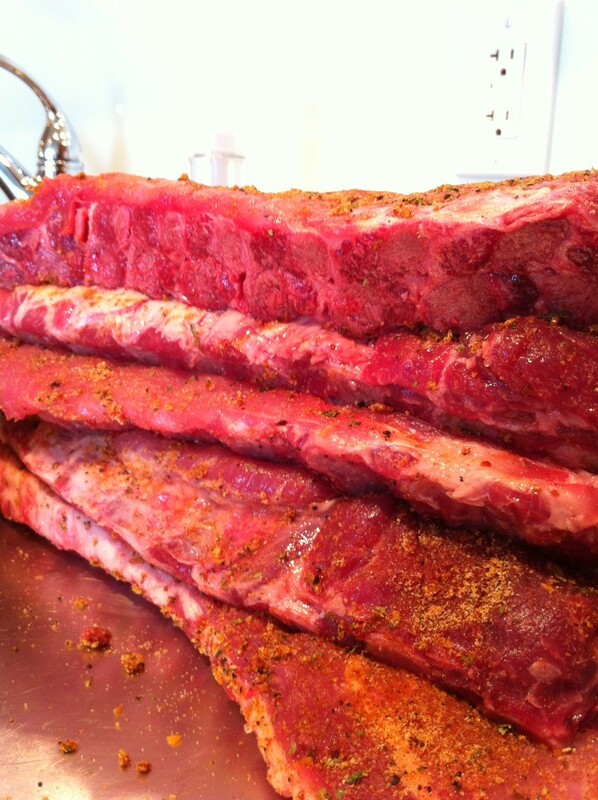 Of course they had their Trader Joe’s Butcher Baby Back Ribs and I bought 2 more racks for a total of $26 dollars. Rain Shadow Meats in Melrose Market. Bone shows through…you know its getting close. 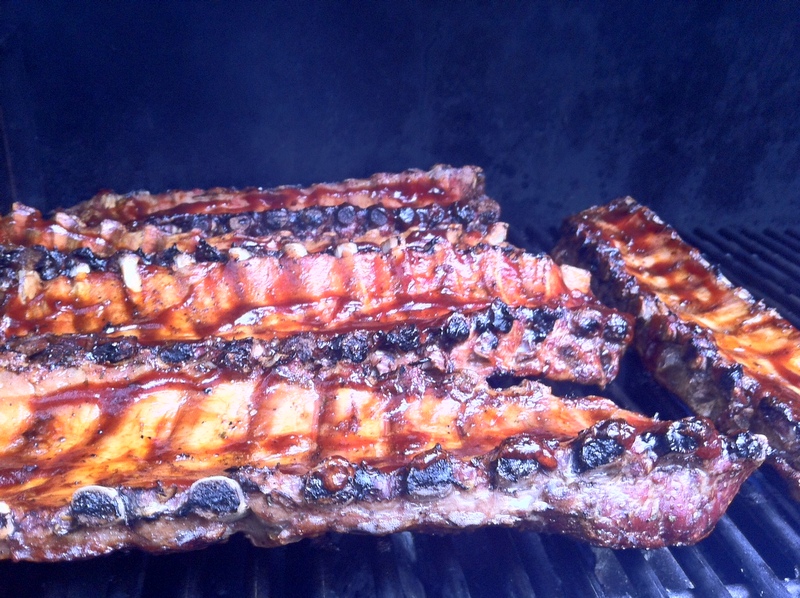 I BBQ’d and nailed the 5 racks using the same method of How to BBQ the Perfect Baby Back Ribs I did before. Ash does the sauce. Done!